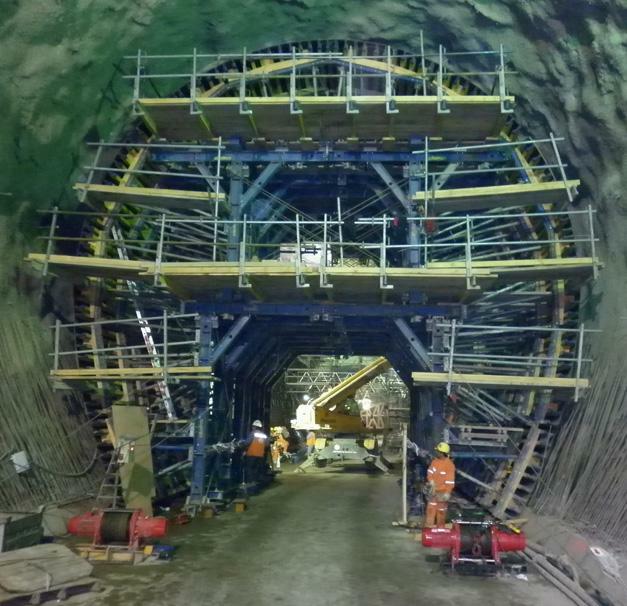 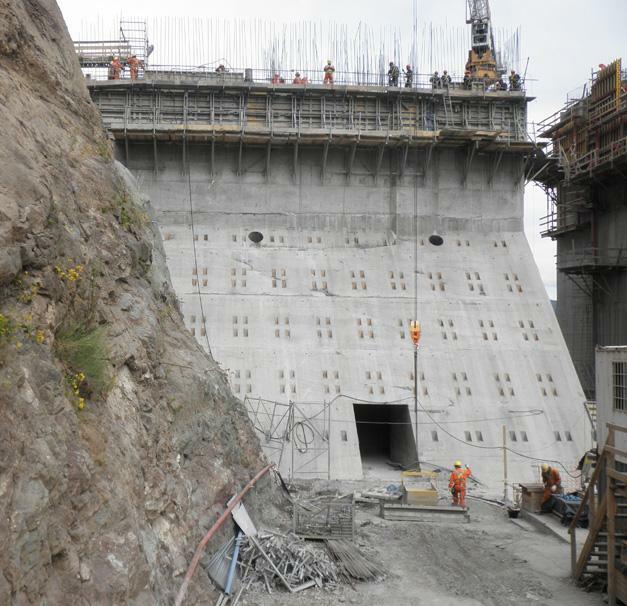 This project consists of a discharge tunnel for the largest hydroelectric power station built over the course of the last decade in Chile. 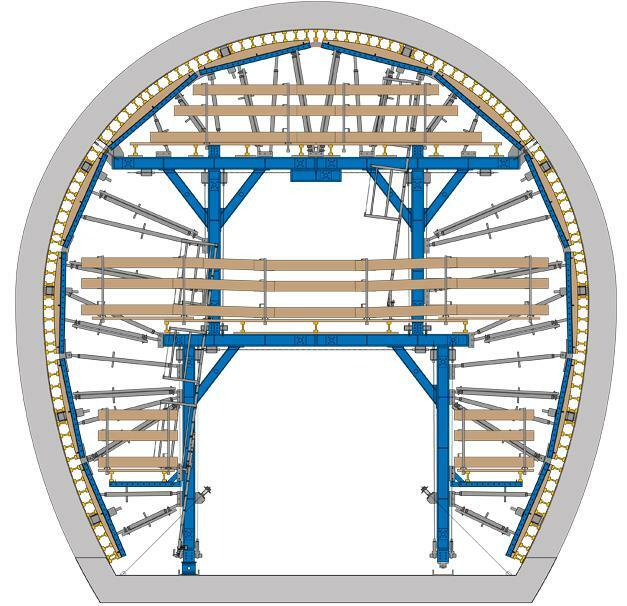 Due to the size of the cross-section, Doka planned a 2-storey forming carriage made of the Doka load-bearing tower SL-1. 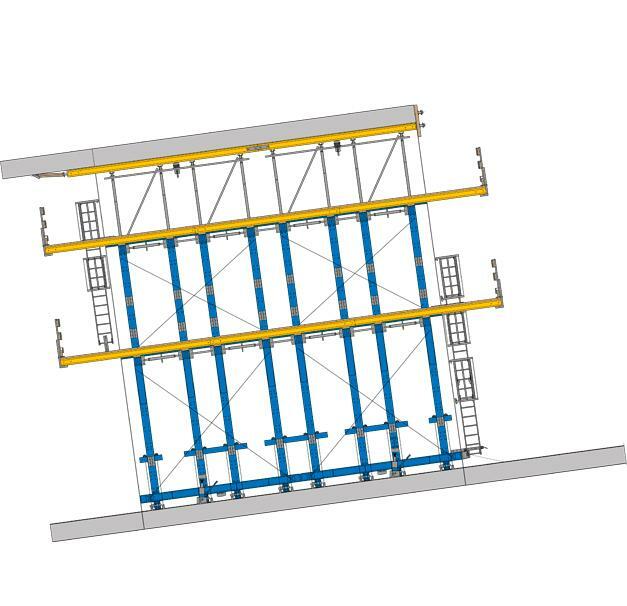 In spite of the great longitudinal inclination of 13.75%, it was assembled with this inclination by a Doka formwork instructor.